A new study conducted by Cornell University proves that the placement and presentation of cereal intended for youth in grocery stores can affect product sales. According to the researchers, whether or not a child is enticed by a particular cereal is dependent on the orientation of the brand’s mascot. 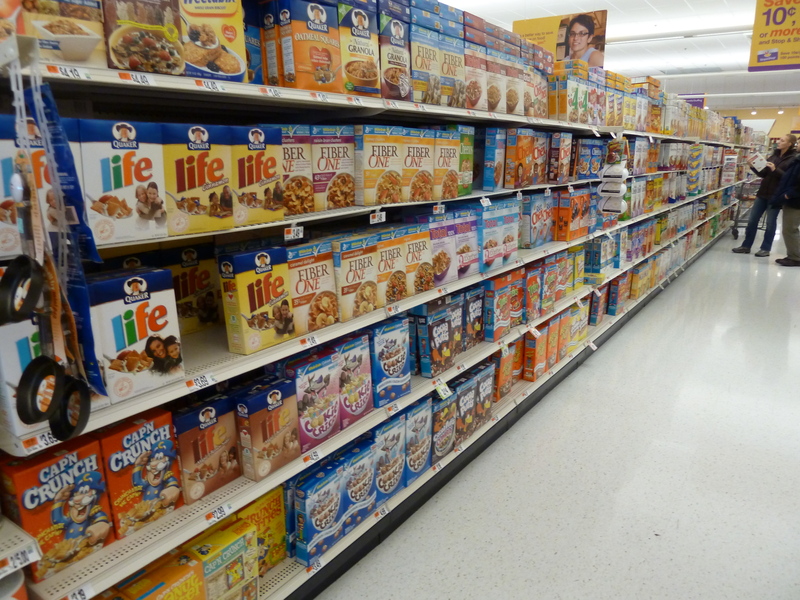 Walking into a store, it’s easy to see that children’s cereal is placed on lower shelves than the adult’s. This makes sense, as the companies attempt to appeal to a younger, shorter demographic. But the most interesting aspect of the study places focus on the angle of a mascot’s eyes on a kid’s cereal box. The study explains that 57 of the 86 different mascots observed possessed a downward gaze of 9.67 degrees. The effect of this particular angle leads to the characters making direct eye contact with passing children. Using this information, the researchers asked 63 people which of two boxes of cereal they would buy, one with the mascot staring straight ahead and the other with it looking down with the trademark angle. They discovered that the trust in a particular cereal is 16 percent higher if the mascot is looking down and making eye contact. What to do with this discovery is a bit of a mystery. The study concludes by stating that if companies want to improve sales for healthy kid’s cereals, then those companies should make sure that the characters on those cereal boxes are engaging in a staring contest with potential buyers. This isn’t out of the question, but the results of the experiment appear too slight to be taken seriously. After all, only 63 people were surveyed, and the results indicate that there was only a 16 percent increase in buyer trust. It looks like the correlation in this study is fleeting at best. Besides, children are most heavily attracted to the sweetest of cereals. Therefore, even if kids are able to make eye contact with the jaunty sun-mascot on the Raisin Bran box, I am still inclined to think that they will lead themselves to more sugary pastures. Indeed, the only success I can find in this study is that next time I walk down the breakfast aisle in CVS, I won’t be able to shake the feeling that I’m being watched.